Occupying a stunning stretch of the Adriatic coastline, Croatia is one of Europe's top seaside destinations. Boasting more than 1,100 islands, the country is renowned for its limpid waters and picture-perfect scenery. 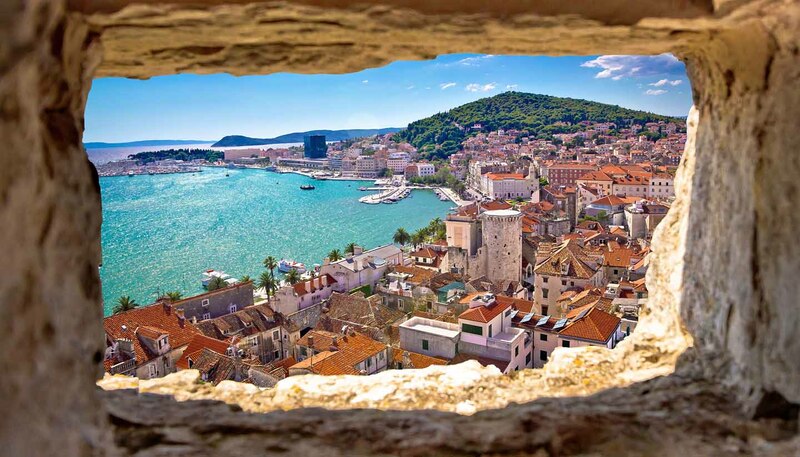 But Croatia is much more than sea and sunshine – it’s home to historic walled cities and spectacular Roman ruins, as well as imposing castles and unspoiled national parks. The fantastic cuisine, including seafood on the coast and truffles in Istria, fine wines and buzzing café culture add to the appeal. 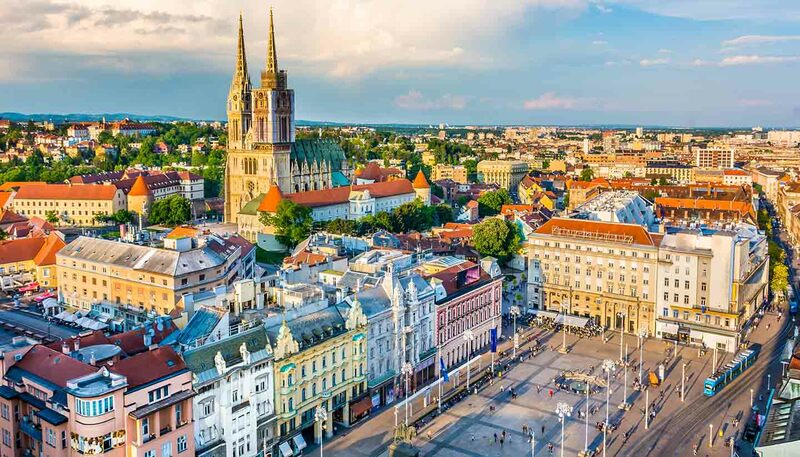 The capital, Zagreb, can be called quintessentially Central European. Everything from the architecture to the hearty cuisine reflects the region’s centuries-old ties with the Austro-Hungarian Empire. The city also makes a good base from which to explore the historic castles and vineyards of Zagorje. One thing that has changed greatly in the last decade in Croatia is tourism. The coast was once an undiscovered, undeveloped natural wonder as beautiful as Italy's, but without the fanfare. Now tourists from Britain, Germany and beyond flock to the Dalmatian region, and many have snapped up holiday homes. The gorgeous seaside cities of Split and Dubrovnik still maintain their charm, but tend to be crowded with tourists during the day. The evenings in these coastal hubs tend to be much quieter, and there are often classical music concerts and other events in the city centres. Beyond the tourist zones, Croatia is full of isolated places where you can discover more traditional, local life. Head to Plitvice for its amazing, lake-strewn national park, or explore the rugged mountain ranges of Velebit and Gorski Kotar, havens for hiking. Back on the Adriatic, Croatia offers ideal sailing conditions, scuba diving and sea kayaking. And of course, those in search of a more restful holiday can enjoy hours of sunshine on the beach. As Europe's top naturist destination, Croatia is also a place where you can even get that all-over tan. Clothing is advised if you’re planning to explore the country’s seven UNESCO World Heritage Sites, world-class museums and festivals, which come thick and fast throughout the summer. 56,542 sq km (21,831 sq miles). President Kolinda Grabar-Kitarović since 2015. Prime Minister Tihomir Orešković since 2016. Land mines are still a danger in some isolated areas. Around 765,000 British nationals visited Croatia in 2017. Most visits are trouble-free. If you’re living in or moving to Croatia, visit our Living in Croatia guide in addition to this travel advice. If you’re travelling to Croatia to do business or provide services, see further guidance on providing services in Croatia after EU Exit. Terrorist attacks in Croatia can’t be ruled out. If you are planning to travel outside the normal tourist resorts beware of unexploded mines in war-affected areas like Eastern Slavonia, Brodsko-Posavska County, Karlovac County, areas around Zadar County and in more remote areas of the Plitvice Lakes National Park. For more information about mine-affected areas visit the Croatian Mine Action Center’s website. If you’re travelling in these areas, avoid leaving cultivated land or marked paths. If in doubt seek local advice. If you are hiking in the mountains seek expert advice from local guides, however tame the mountain might seem to you. The weather in the Croatian mountains can change quickly, even in summer and temperatures can get very low overnight. There have been reports of hikers getting lost in the mountains when they have gone out alone and left marked paths. You can find tips about mountaineering and direct numbers for regional rescue teams on the Croatian Mountain Rescue page here and on Twitter HrvatskaGSS , as well as their maps. If you get into trouble, call the emergency number 112 and the Croatian Mountain Rescue Service will help you as best they can. You can drive in Croatia using a UK driving licence. However, if the UK leaves the EU without a deal, you may also need to get an International Driving Permit (IDP) to be able to drive in Croatia and other EU/EEA countries as a visitor. If you’re living in Croatia, check the Living in Guide for information on requirements for residents. If you bring your own or rented vehicle into the country, you may need to provide proof of ownership by presenting a V5 log book. If you fail to produce this when asked you will be refused entry and the car might be impounded until you can prove ownership. Contact the Croatian Embassy in London if you have more detailed questions about bringing a vehicle in to the country. The British Embassy is unable to help individuals attempting to bring vehicles into Croatia who do not have the correct documents at the border. If you’re driving to or through Bosnia and Herzegovina, including the 20km strip of coastline at Neum on the Dalmatian coastal highway, make sure that you have a Green Card that includes cover for Bosnia and Herzegovina. You can’t buy insurance for Bosnia and Herzegovina at the Neum border crossing. Take care when overtaking and be wary of other road users unexpectedly overtaking in slower traffic. Minor roads are usually unlit at night. You must drive with dipped headlights from the last weekend in October until last weekend in March, even during the daytime. You must have winter tyres on your vehicle between 15 November and 15 April. You must not use a mobile phone whilst driving. In 2017 there were 331 road deaths in Croatia (source: Department for Transport).This equates to 8.0 road deaths per 100,000 of population and compares to the UK average of 2.8 road deaths per 100,000 of population in 2017. See the European Commission,AA and RAC guides on driving in Croatia. Take care to guard valuables, especially at night. There is zero tolerance on alcohol consumption if you are in charge of a yacht or boat. The penalties for being caught drunk in charge of a boat are heavy. Yacht/boat skippers have been arrested for entering a non-designated entry port without informing the authorities. If you are sailing to Croatia enter only at a designated port/harbour. If this is not possible, contact the local harbour master or the police before entering. The Croatian Government requires all skippers to have an International Certificate of Competence (ICC). Terrorist attacks in Croatia can’t be ruled out. Attacks could be indiscriminate, including in places visited by foreigners. Walking shirtless or in swimming costumes is frowned upon in some town centres in Croatia. You should take notice of your surroundings including signage and judge what is appropriate. Some towns, such as Dubrovnik, have signage to show that the practice is prohibited by law and offenders will be subject to an on the spot fine. In a no deal situation, the European Commission has proposed that British Citizens would not need a visa for short stays in the EU, including Croatia. You would be able to stay in Croatia for up to 90 days in any 180-day period. Visits to Croatia within the previous 180 days before your date of travel will count against the 90-day limit. As Croatia is not within the Schengen area, visits to other EU countries will not count against this total. The 90-day visa-free period would not entitle you to work in Croatia. You should check with the Croatian Embassy what type of visa, if any, you will need. 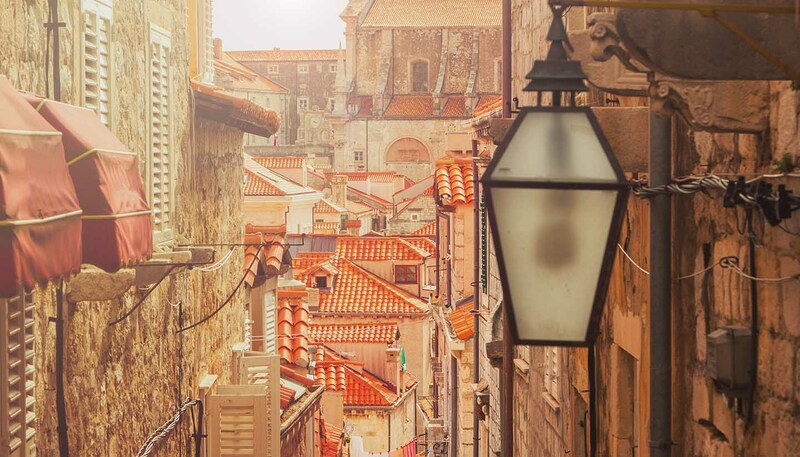 If you’re planning a stay of longer than 3 months, see our Living in Croatia guide and contact the Croatian Embassy if you have further questions. UK ETDs are accepted for entry, airside transit and exit from Croatia and are a valid ID document in Croatia. If the UK leaves the EU without a deal, access to healthcare for British nationals travelling or living in the EU, European Economic Area (EEA) and Switzerland is likely to change. More information about healthcare for UK nationals living in and visiting Croatia is available on the NHS website. The EHIC entitles you to state provided medical treatment that may become necessary during your trip. Any treatment provided is on the same terms as Croatian nationals. If you don’t have your EHIC with you or you’ve lost it, you can call the Department of Health Overseas Healthcare Team (+44 191 218 1999) to get a Provisional Replacement Certificate. The UK government has or is seeking agreements with countries on healthcare arrangements for UK nationals after the UK leaves the EU. The NHS website and this travel advice will be updated with further information on travelling to Croatia as the circumstances change. If you’re living in Croatia, you can also find more information on healthcare for residents in our Living In Croatia guide. Small tremors are recorded several times a month throughout the year without consequences. To learn more about what to do before, during and after an earthquake, visit the website of the US Federal Emergency Management Agency. Forest fires are very common during Croatia’s hot and dry summers. Take care when visiting or driving through woodland and forest areas. Make sure cigarette ends are properly extinguished, don’t light barbecues and don’t leave any rubbish, particularly empty bottles, behind. Flash floods can occur with very little warning and can lead to dangerous water flows and disruption to transport and other networks. You should keep a close eye on weather forecasts and follow the advice of local authorities. Monitor media reports and follow the advice of the local authorities if a forest fire, earthquake, floods or other natural disaster occurs in your area. The currency of Croatia is the Croatian Kuna. Major credit and debit cards are accepted in most banks and hotels. Sterling, US Dollars and Euros are easily exchanged for local currency. Only exchange money at reliable places like banks and exchange bureaux. There are plenty of ATMs that accept standard international credit and debit cards.